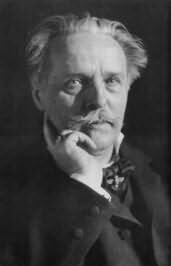 Karl Friedrich May (also Karol May) was one of the best selling German writers of all time, noted mainly for books set in the American Old West, (best known for the characters of Winnetou and Old Shatterhand) and similar books set in the Orient and Middle East. In addition, he wrote stories set in his native Germany, in China and in South America. May also wrote poetry and several plays, as well as composing music; he was proficient with several musical instruments. May's musical version of "Ave Maria" became very well known.